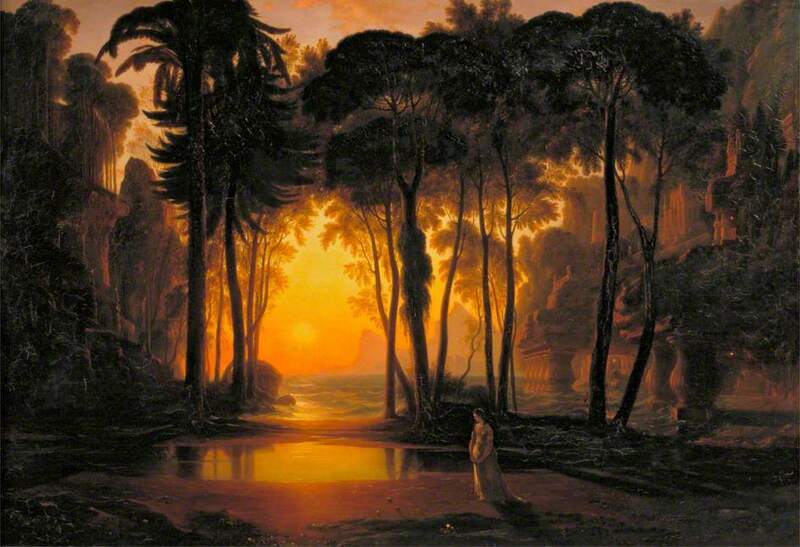 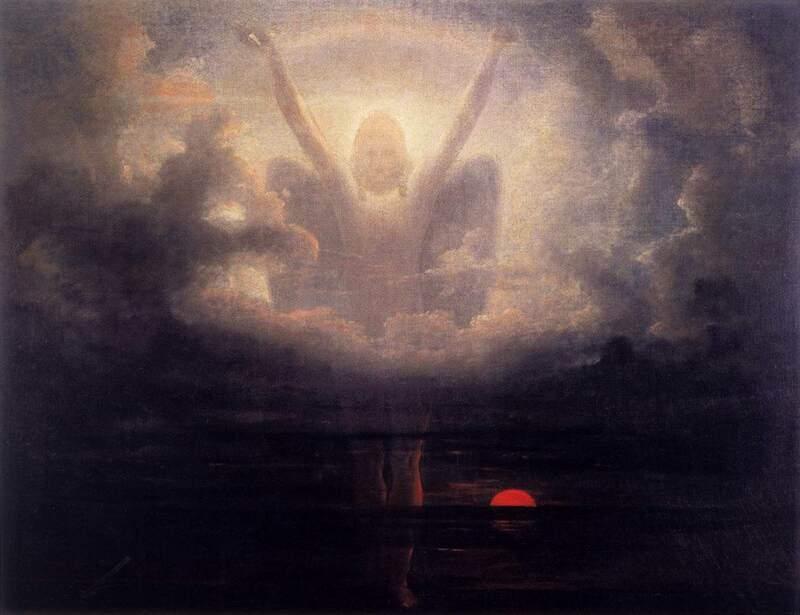 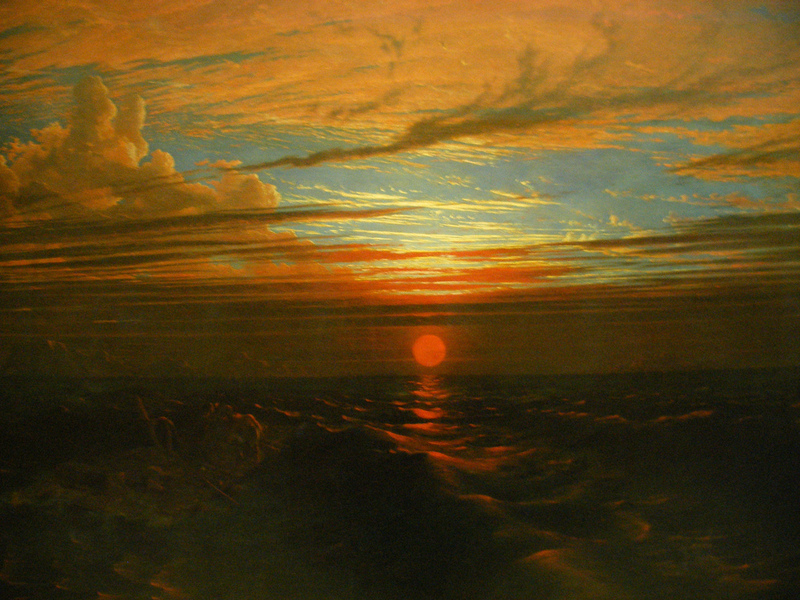 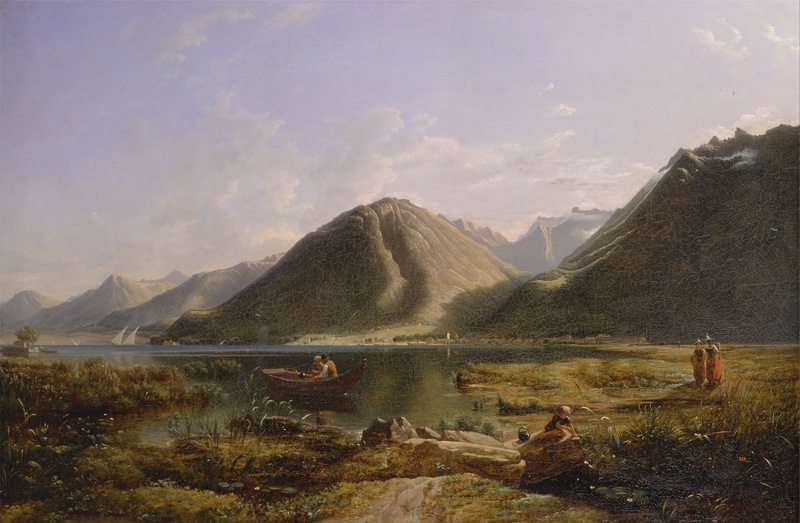 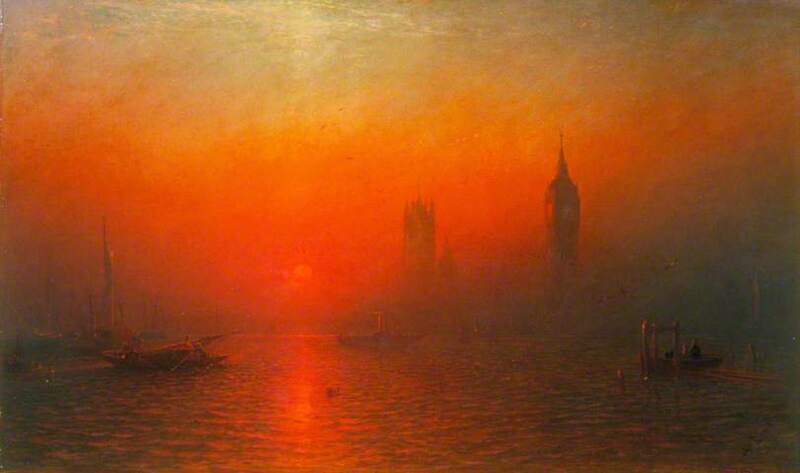 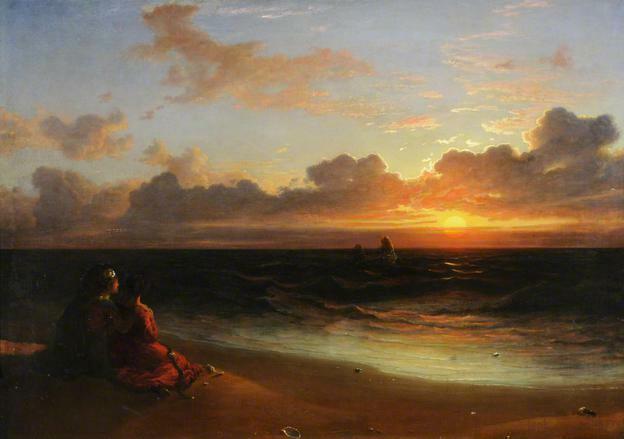 Francis Danby (16 November 1793 - 9 February 1861) was an Irish painter of the Romantic era. 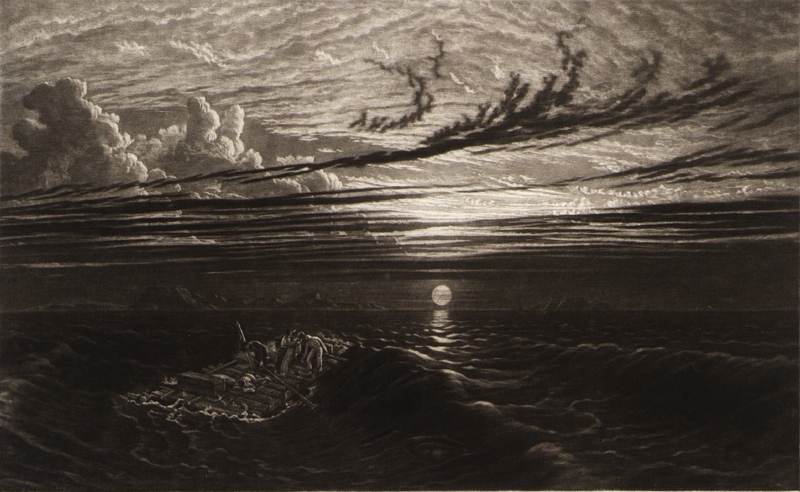 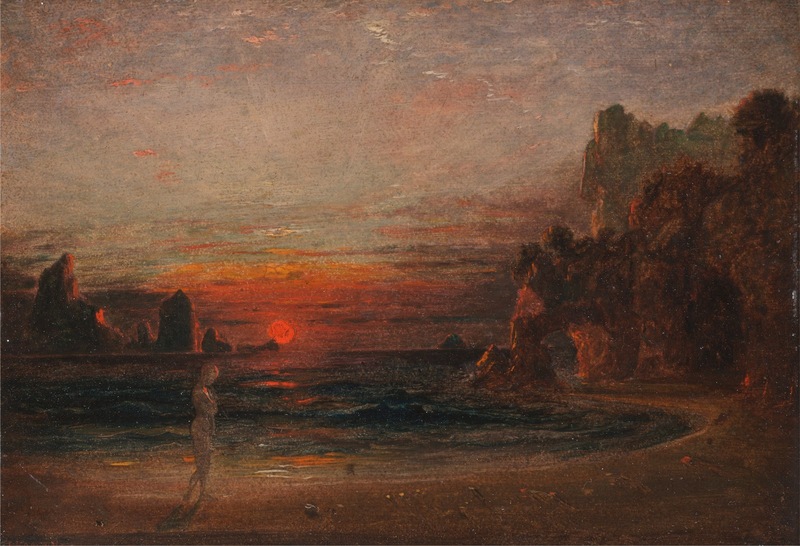 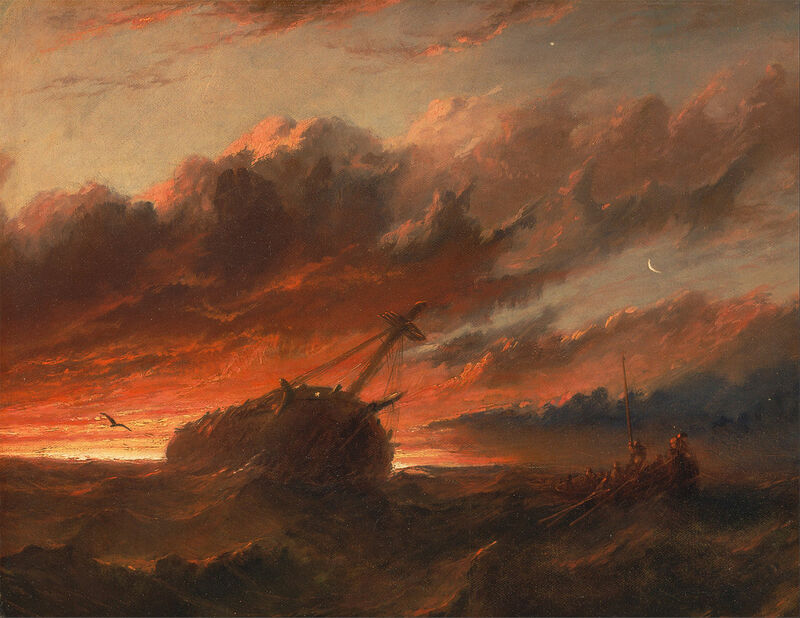 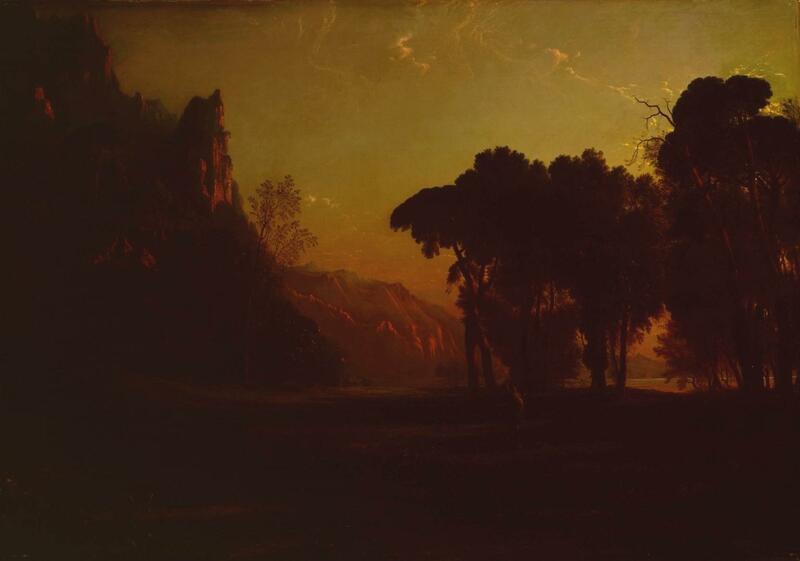 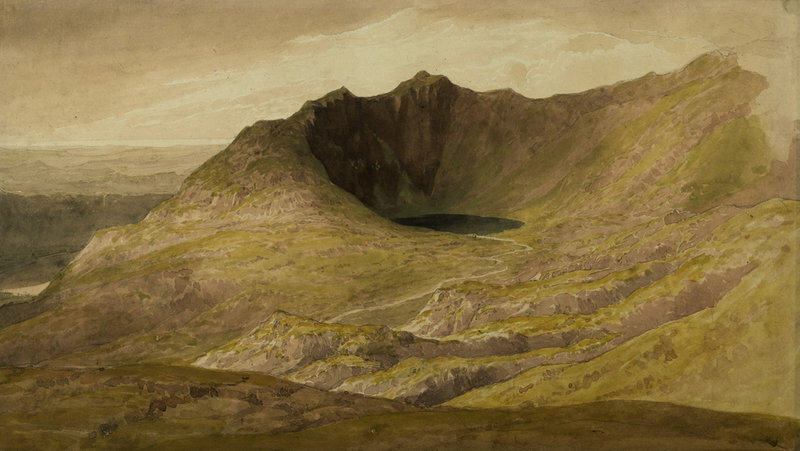 His imaginative, dramatic landscapes were comparable to those of John Martin. 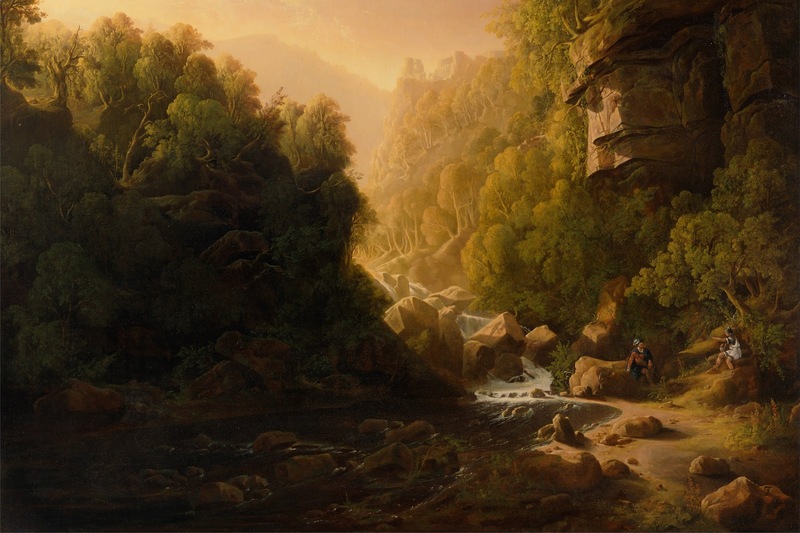 Danby initially developed his imaginative style while he was the central figure in a group of artists who have come to be known as the Bristol School. 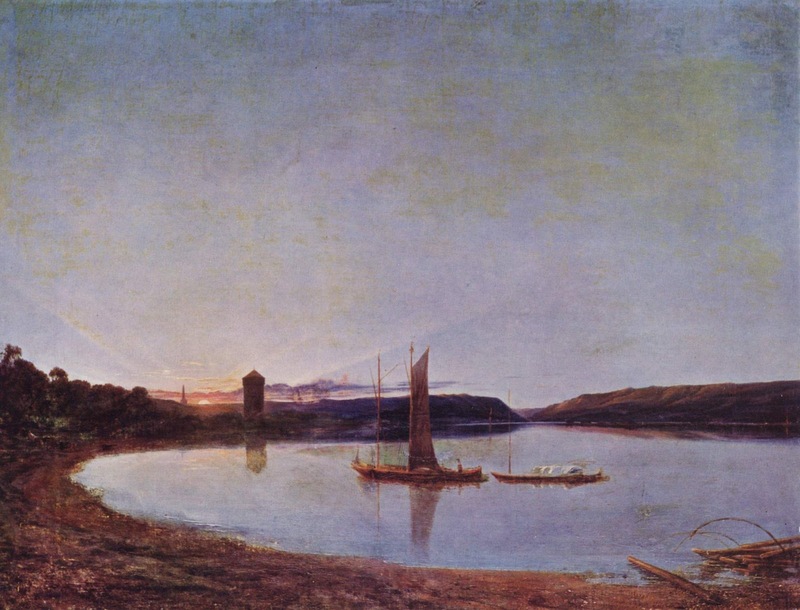 His period of greatest success was in London in the 1820s. 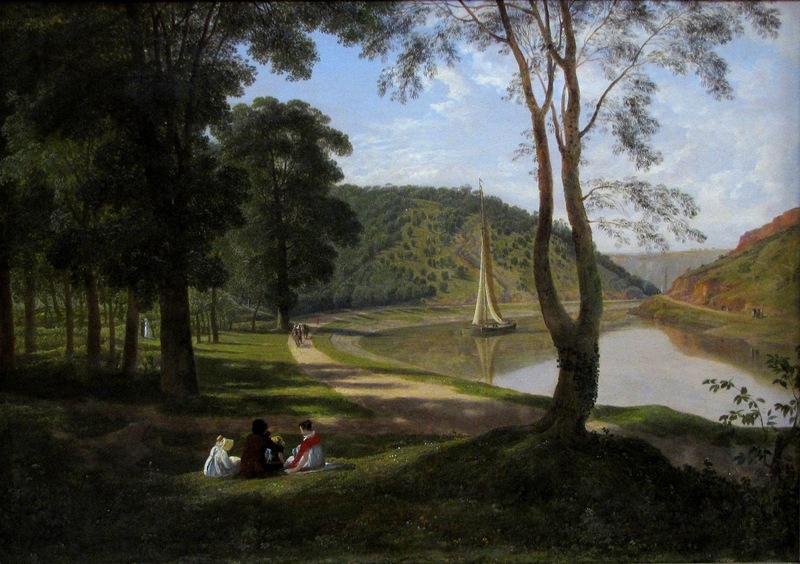 Born in the south of Ireland, he was one of a set of twins; his father, James Danby, farmed a small property he owned near Wexford, but his death, in 1807, caused the family to move to Dublin, while Francis was still a schoolboy. 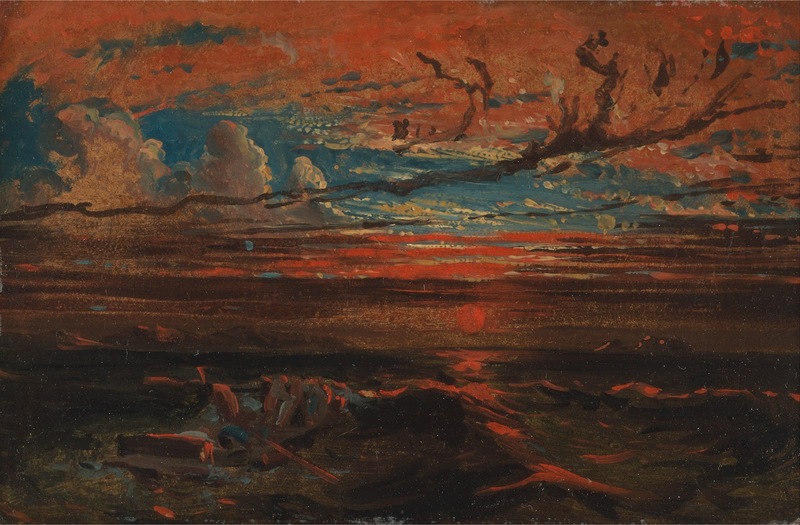 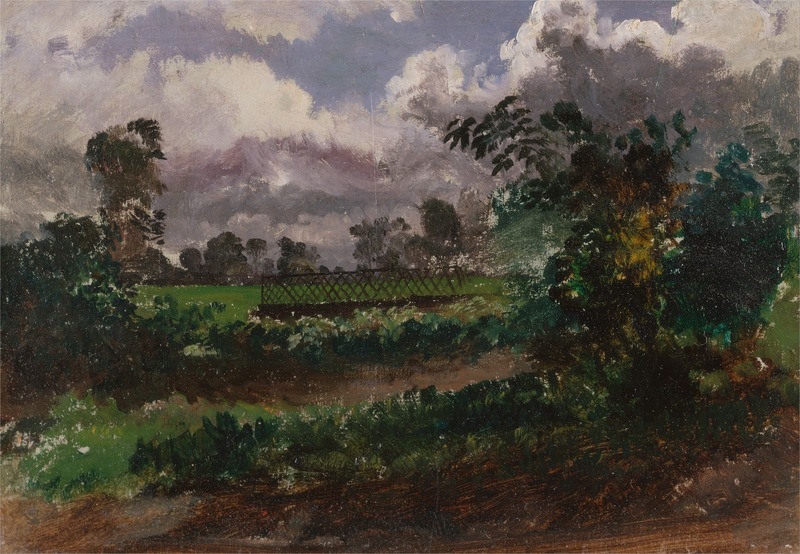 He began to practice drawing at the Royal Dublin Society's schools; and under an erratic young artist named James Arthur O'Connor he began painting landscapes. 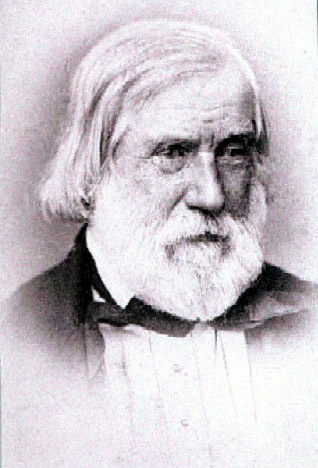 Danby also made acquaintance with George Petrie. 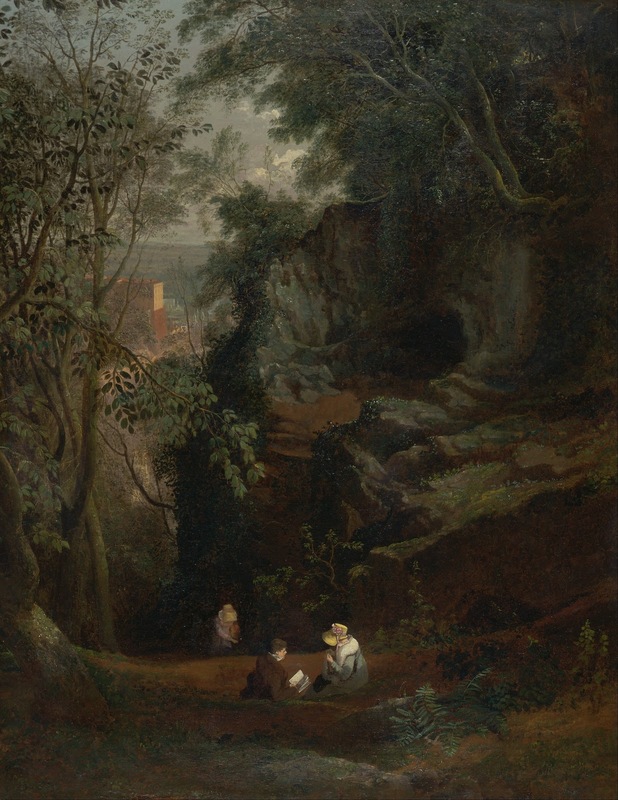 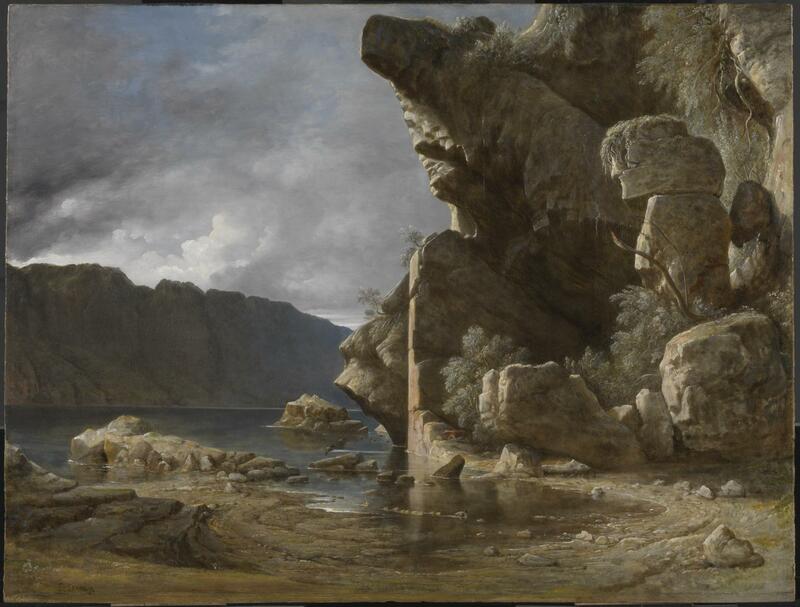 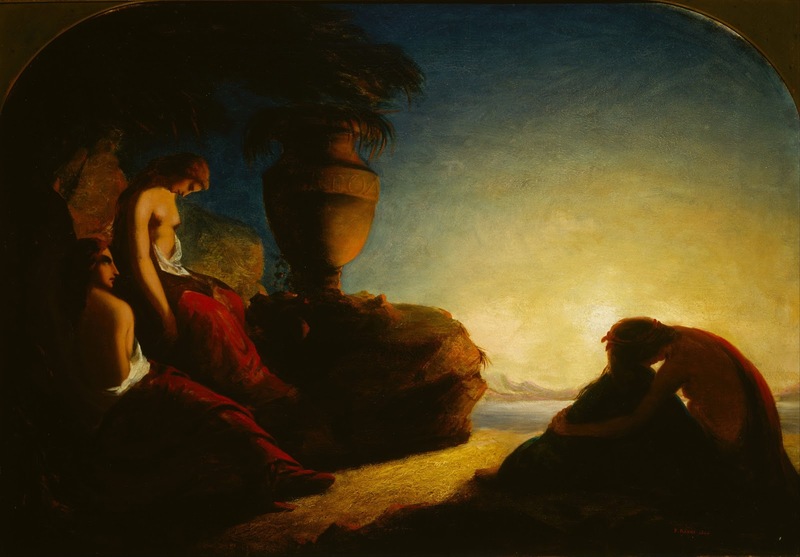 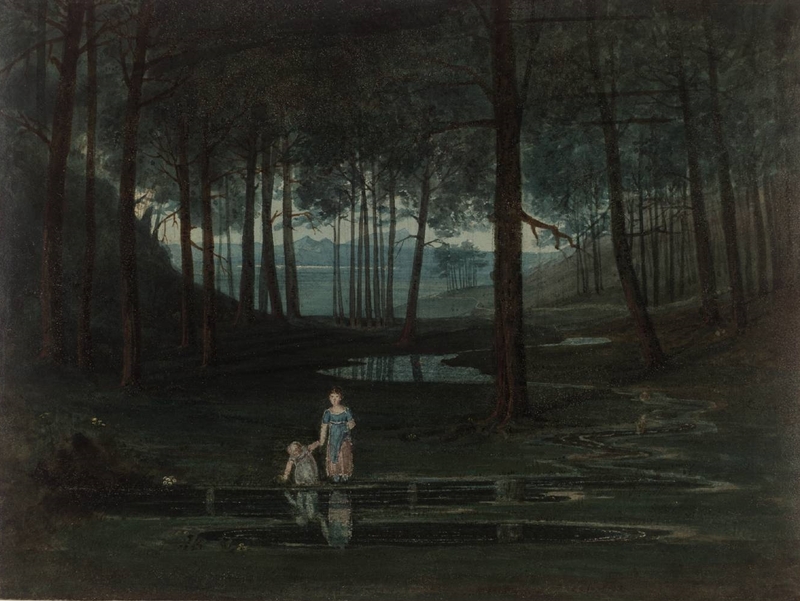 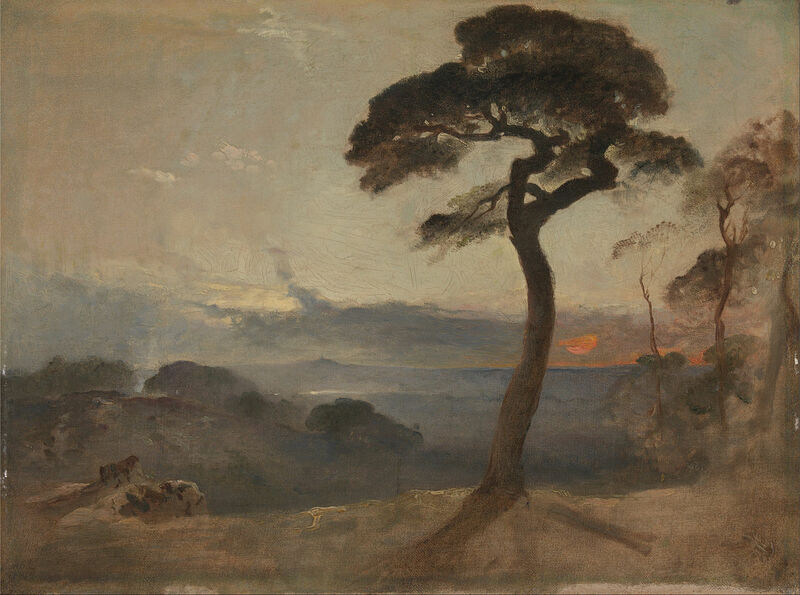 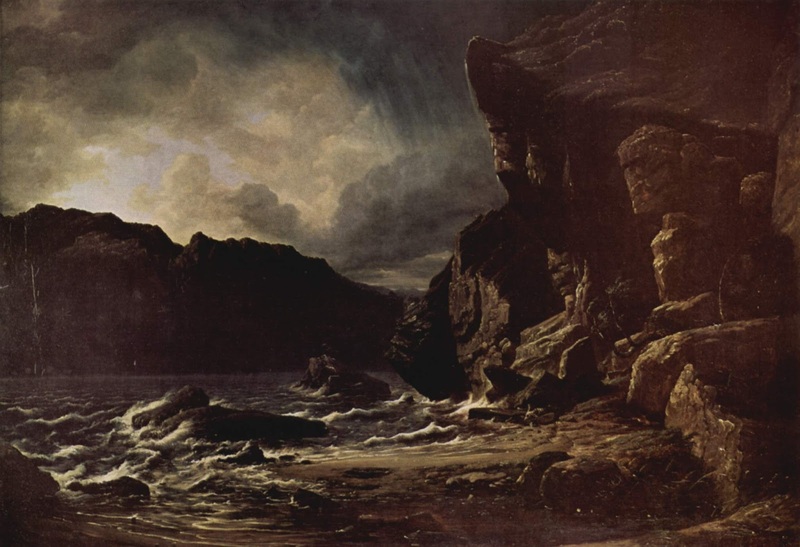 Danby's atmospheric work An Enchanted Island, successfully exhibited in 1825 at the British Institution and then back in Bristol at the Bristol Institution, was in turn particularly influential on other Bristol School artists. 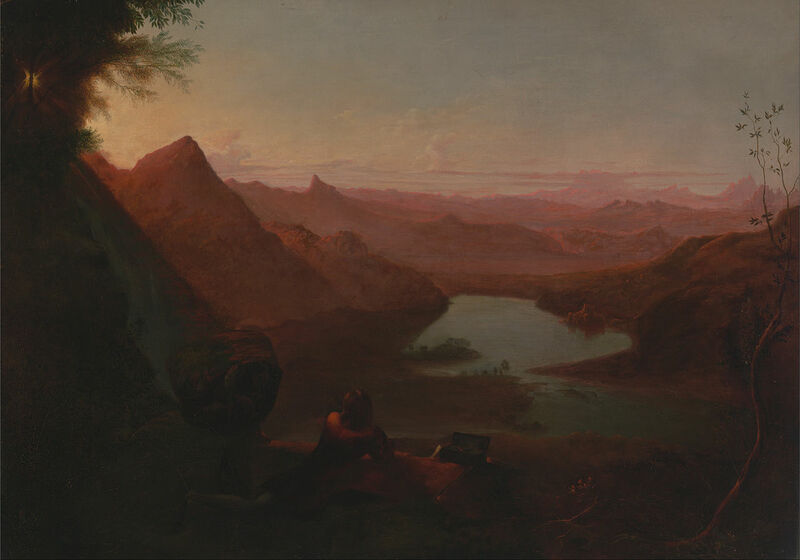 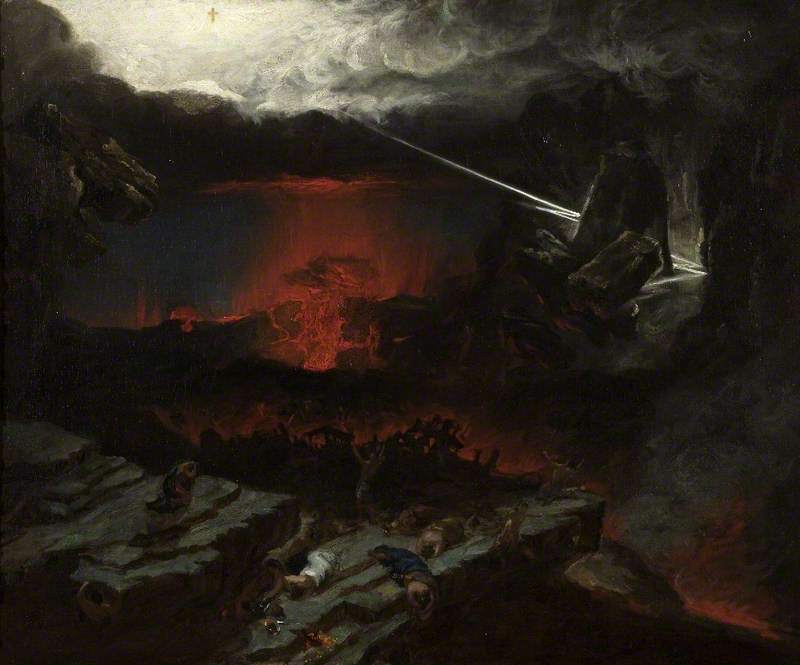 Danby painted "vast illusionist canvases" comparable to those of John Martin - of "grand, gloomy and fantastic subjects which chimed exactly with the Byronic taste of the 1820s". 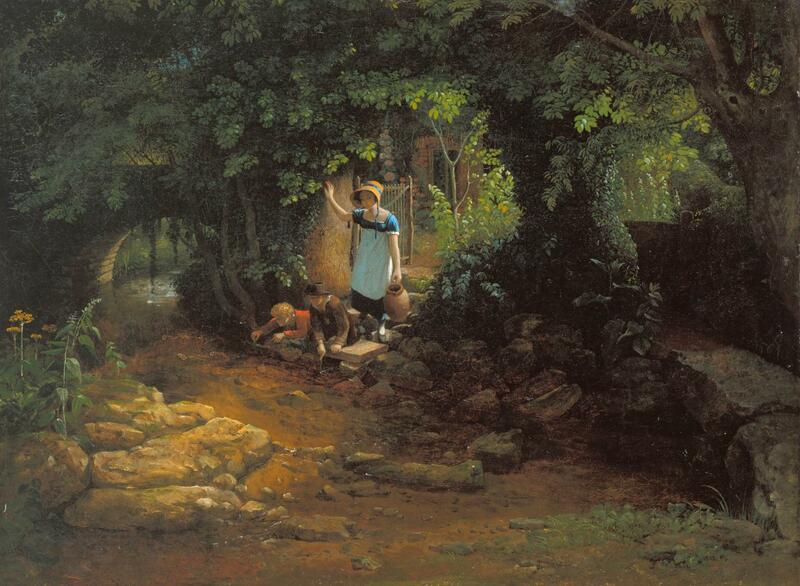 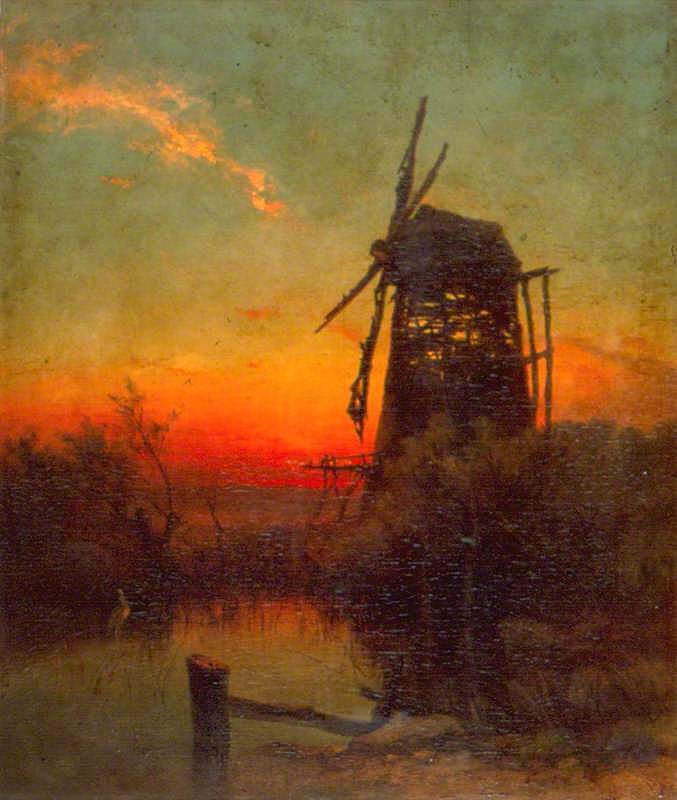 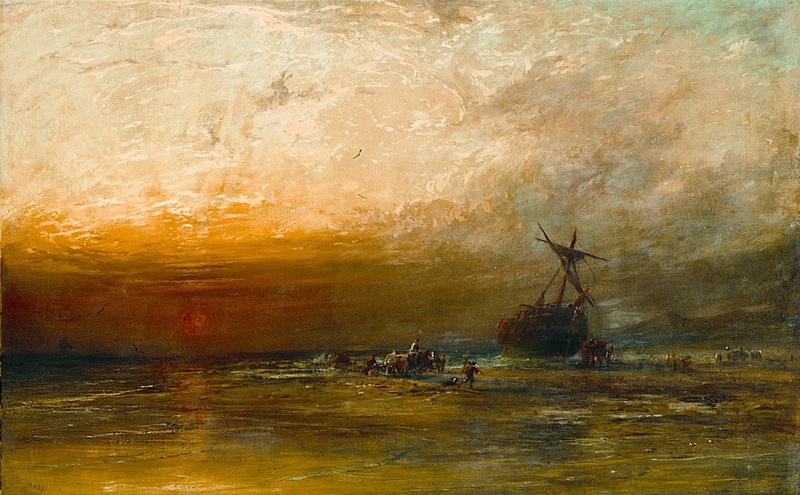 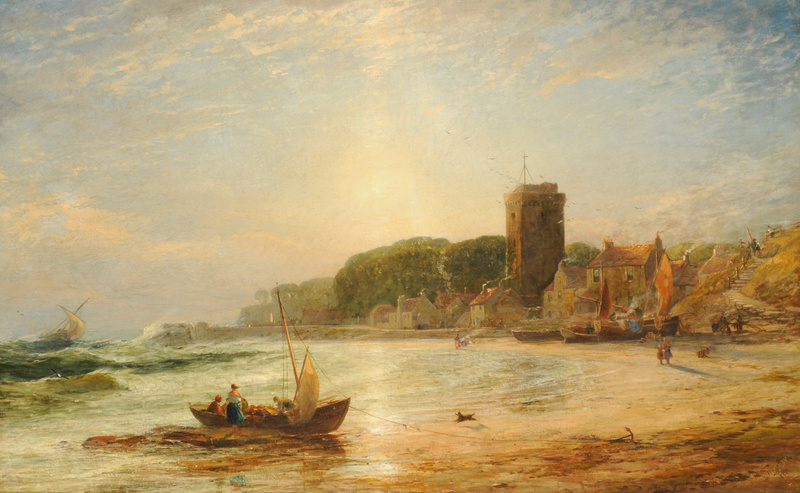 He returned to England in 1840, when his sons, James and Thomas, both artists, were growing up. 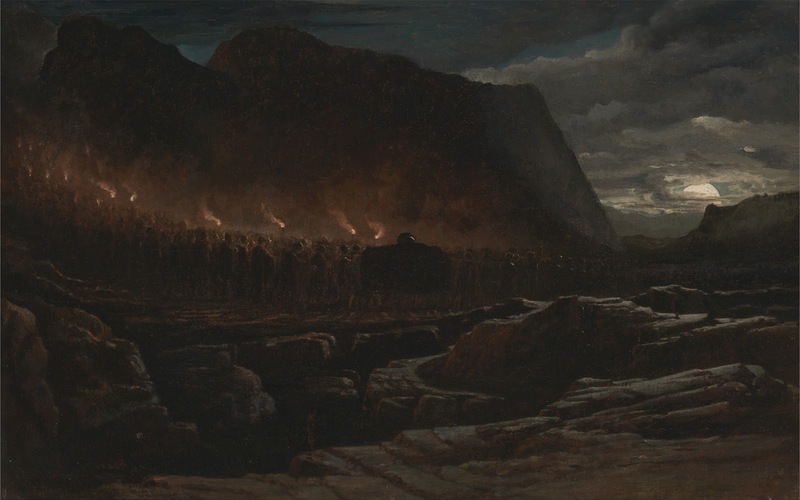 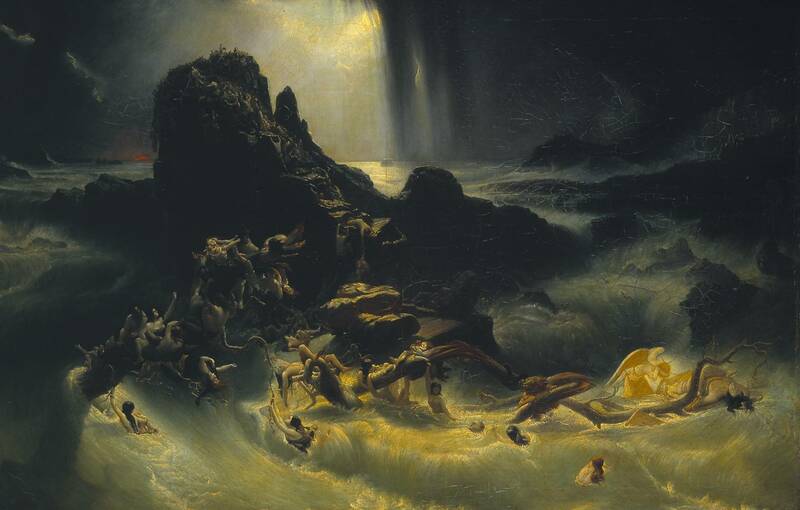 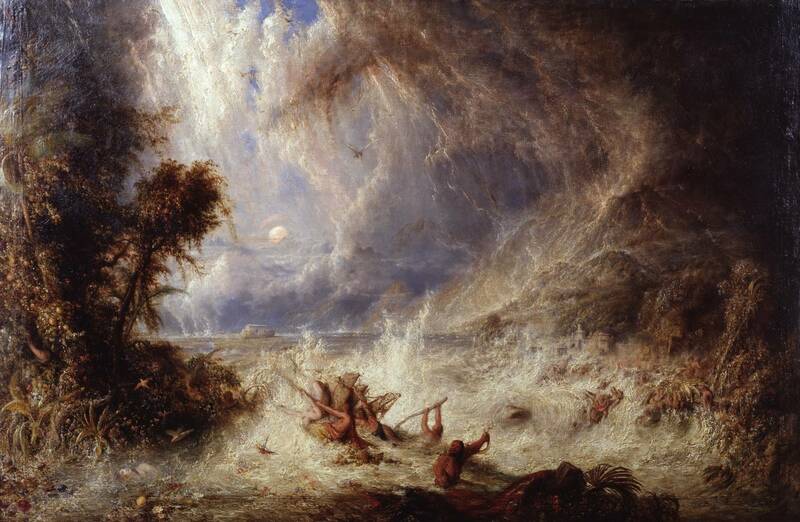 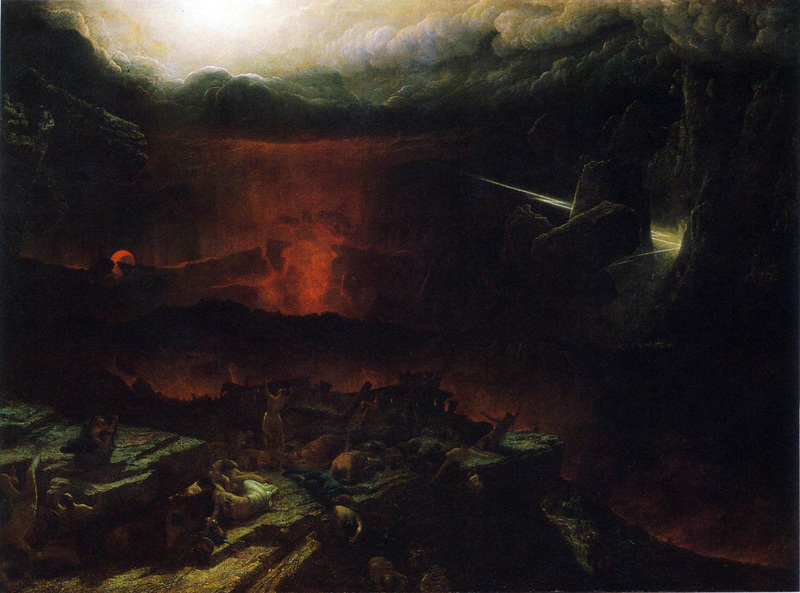 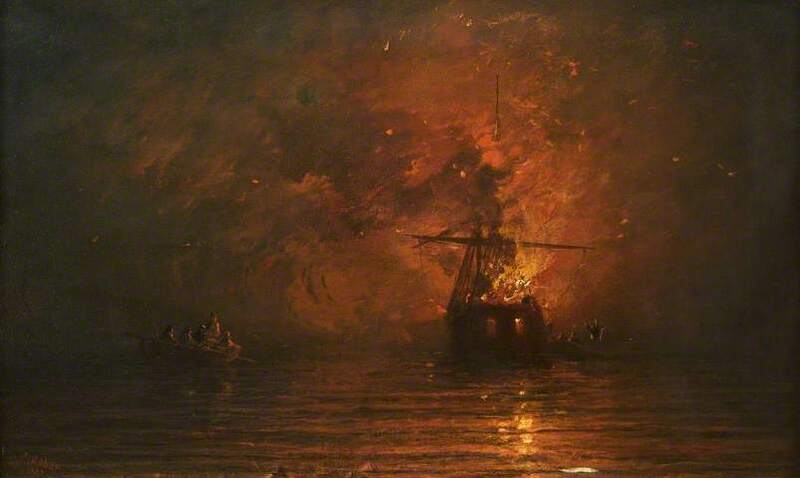 Danby exhibited his large (15 feet wide) and powerful The Deluge that year; the success of that painting, "the largest and most dramatic of all his Martinesque visions", revitalised his reputation and career. 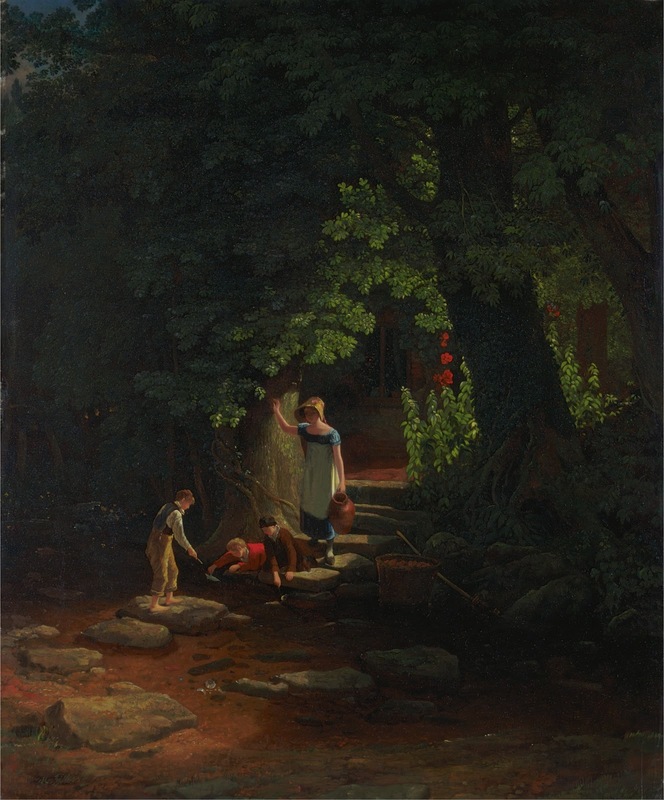 Other pictures by him were The Golden Age (c. 1827, exhibited 1831), Rich and Rare Were the Gems She Wore (1837) and The Evening Gun, 1848.